A new wind is blowing through Jerusalem. 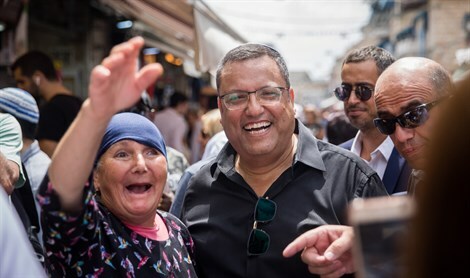 Hear: Jerusalem Mayor Moshe Lion's plans for Israel's capital city, outlined in his keynote speech at his municipality's New Years reception for the leaders of the city's religious communities and members of the diplomatic corps. And: All about the very beginnings of B'nei Akiva, the religious Zionist youth movement - and how their members who came from all over the world got high, as they celebrated their 90th anniversary year in Jerusalem. Plus: An update on last week's report from 2009 about "Crossroads", that commendable organization that cares for Jerusalem's youth at risk. It's enlightening.